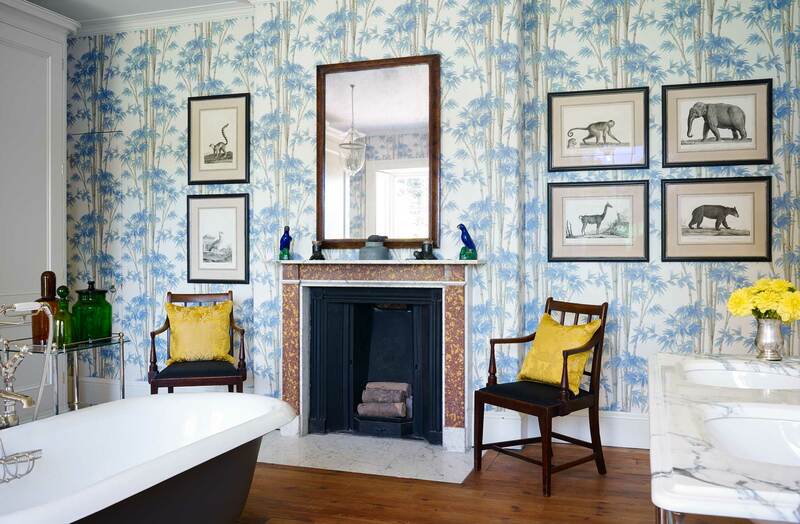 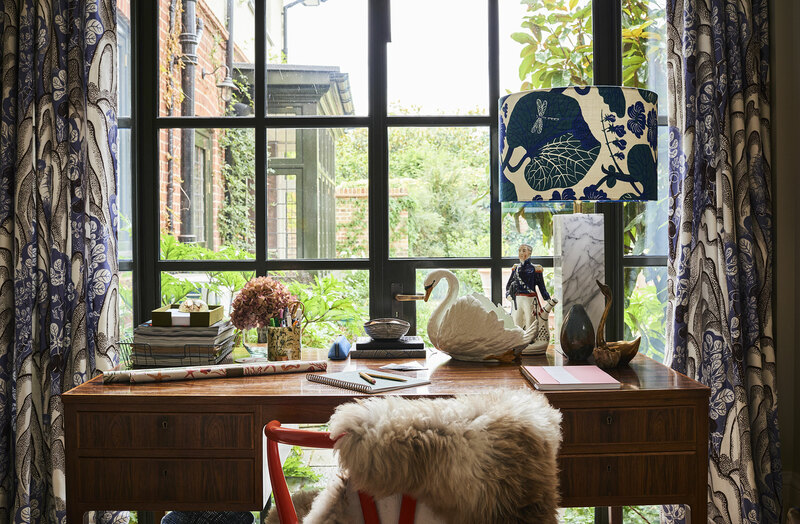 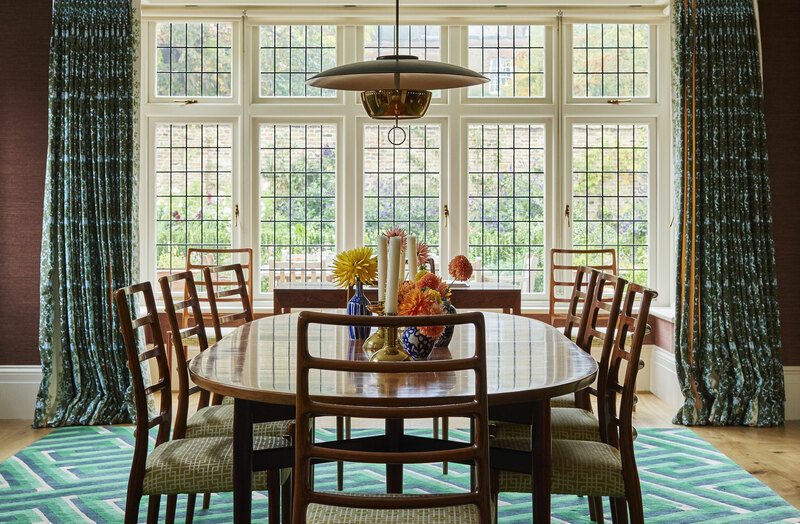 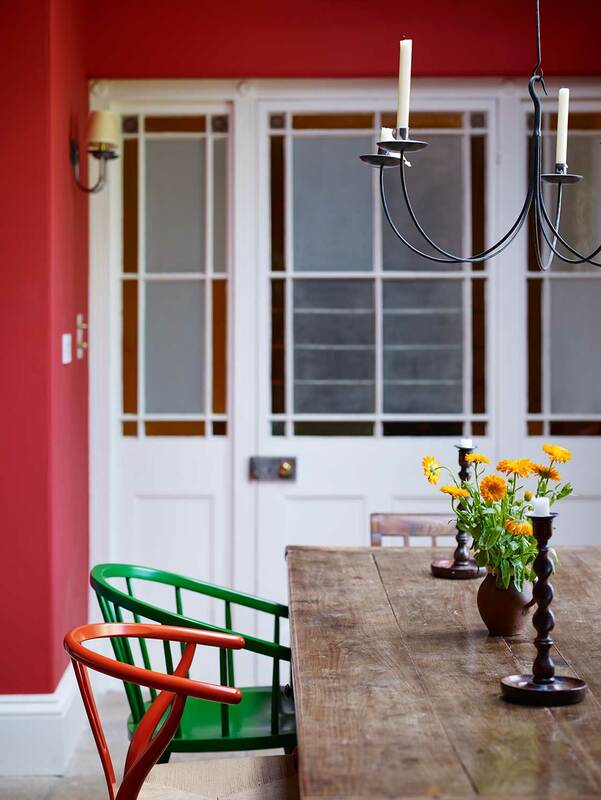 In 2013, we were engaged to work on the interior decoration of a substantial Edwardian house in Hampstead. 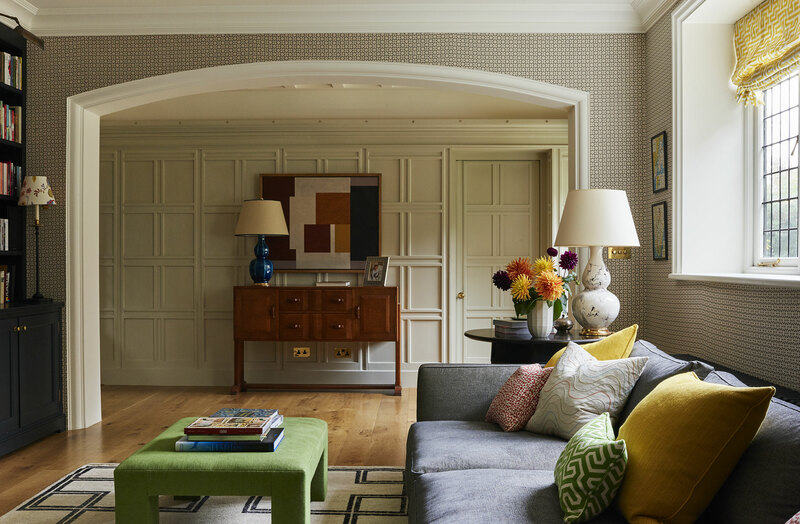 The fine house was in need of significant refurbishment, and we worked closely with the local Hampstead architects Charlton Brown in developing internal layouts and plans for the new owners, a recently-married young couple. 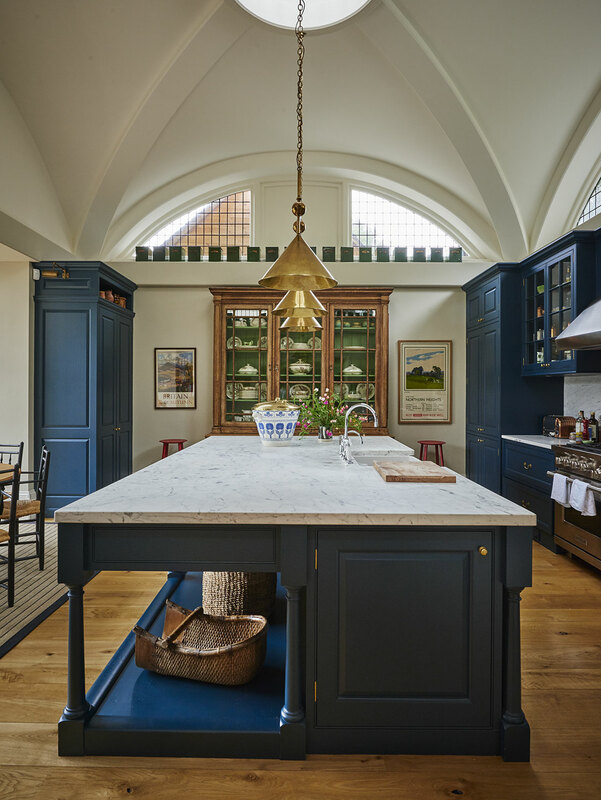 These developed to include an underground swimming pool, new kitchen extension and a significant remodelling of some of the internal spaces. 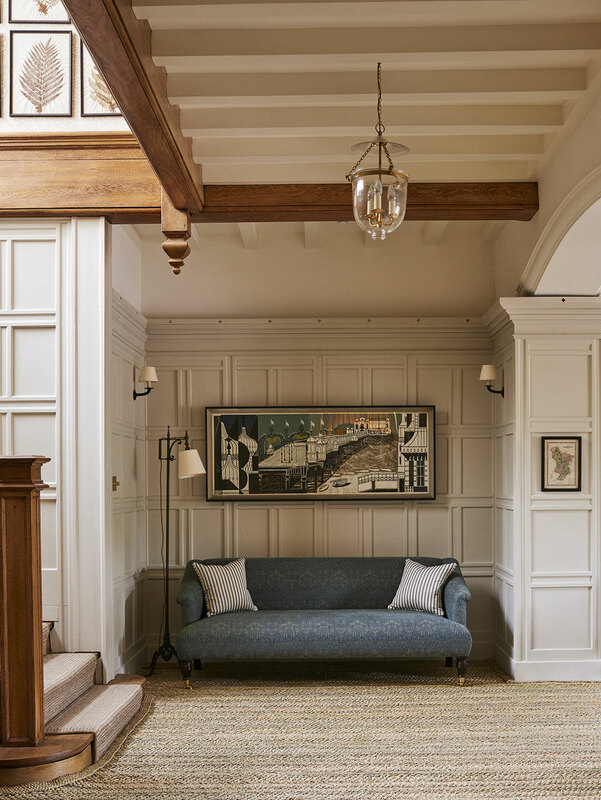 We were responsible for designing all the panelling, kitchen, pantries and other architectural joinery within the house, before moving on to the wider interior decoration. 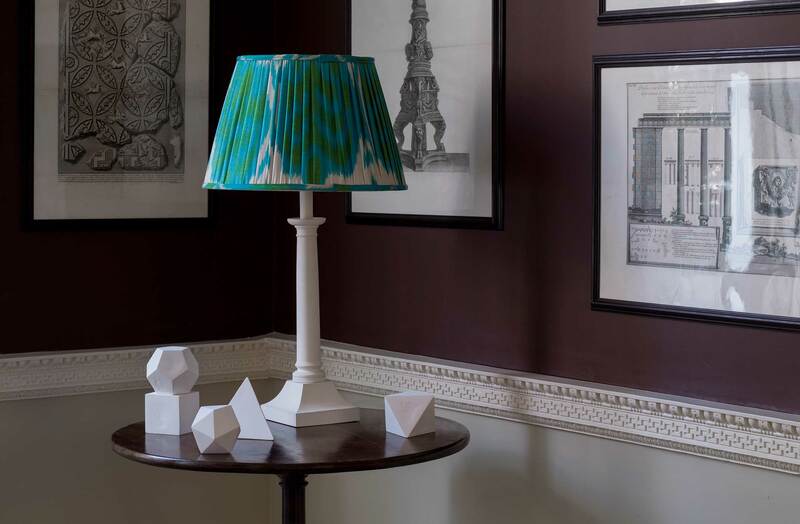 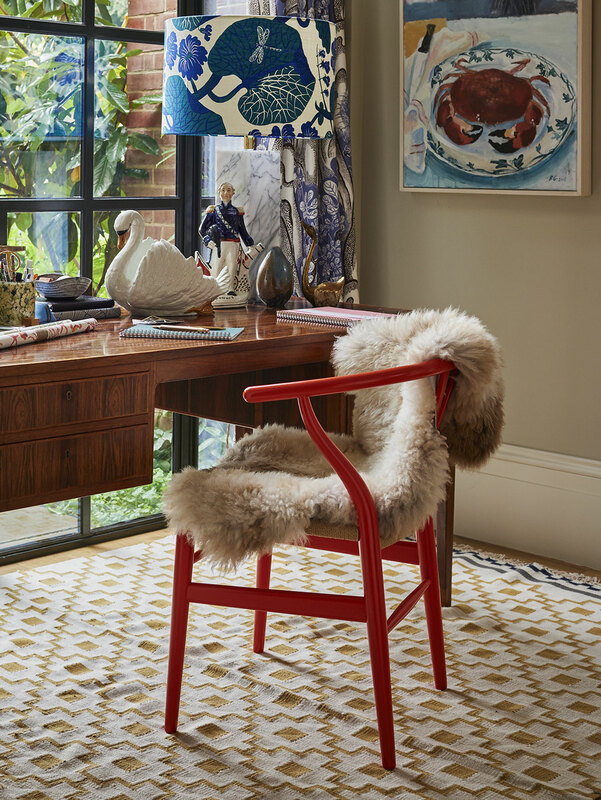 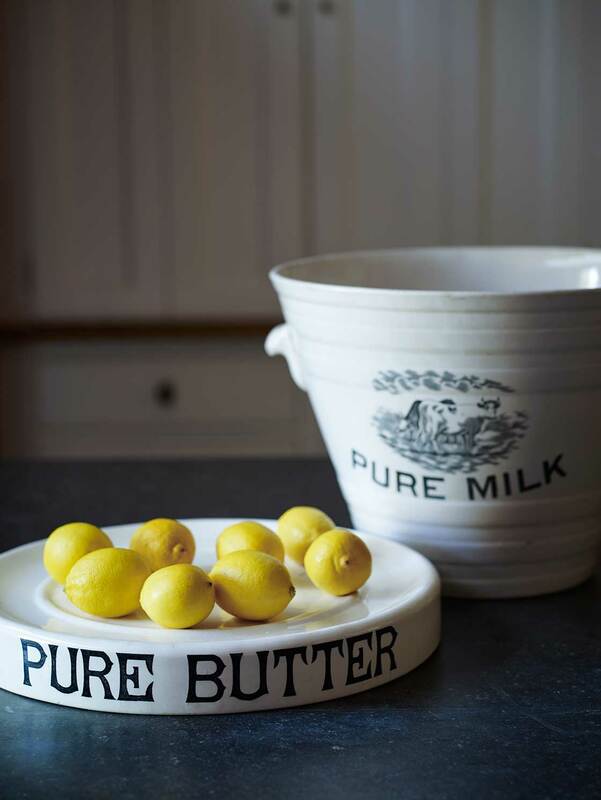 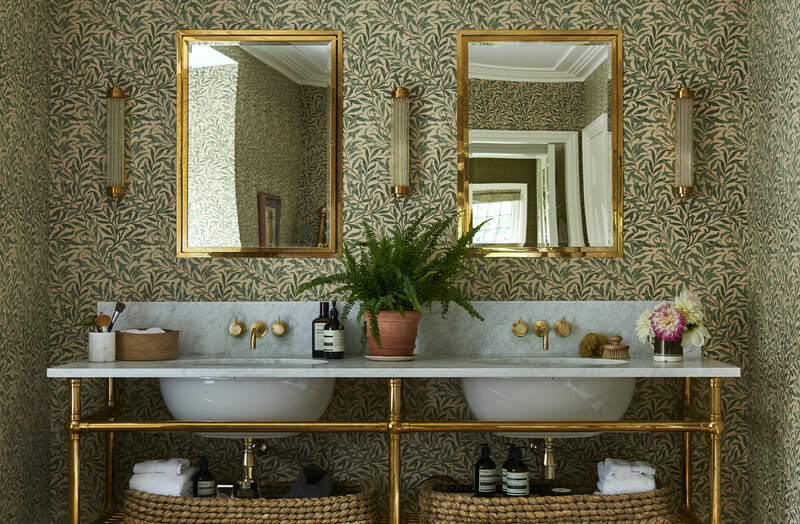 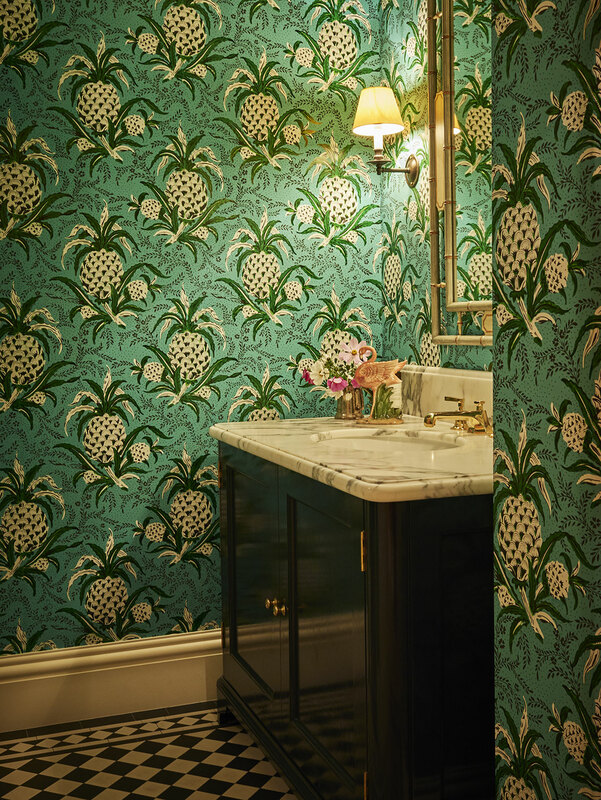 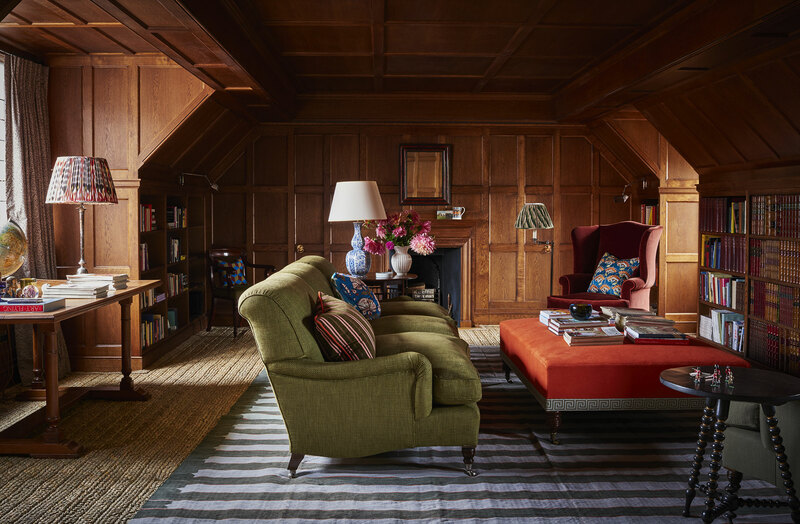 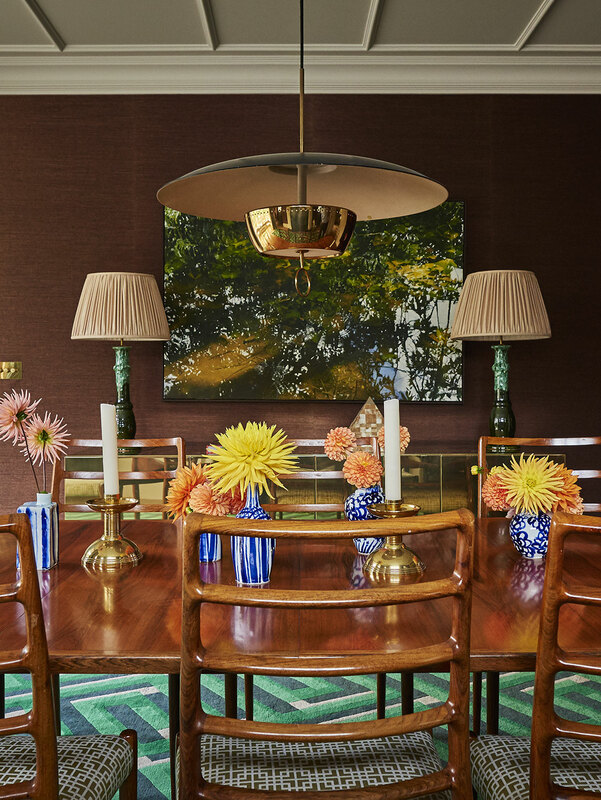 Jointly with the clients, we drew inspiration from the Arts and Crafts, in particular the papers of William Morris, but in combination with other themes and strands that ranged from the late 19th century aesthetic movement, through mid-century modernism, to significant contemporary elements. 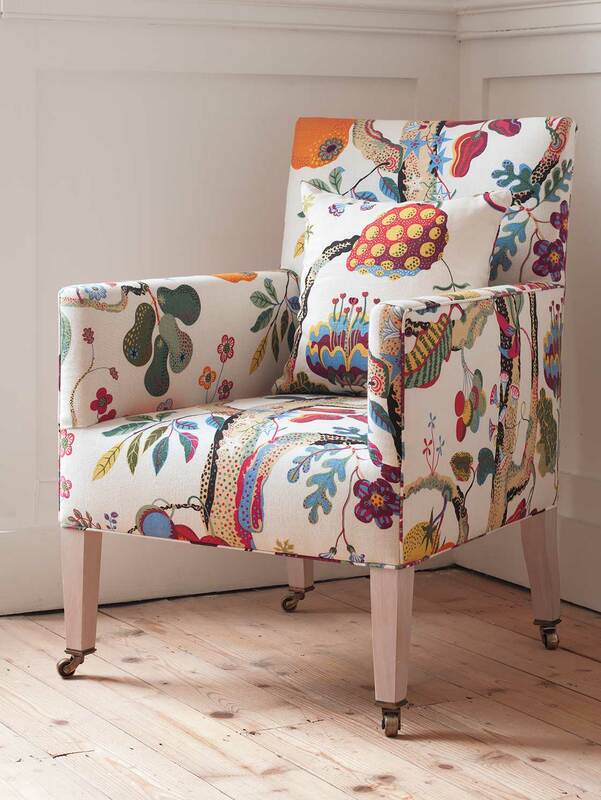 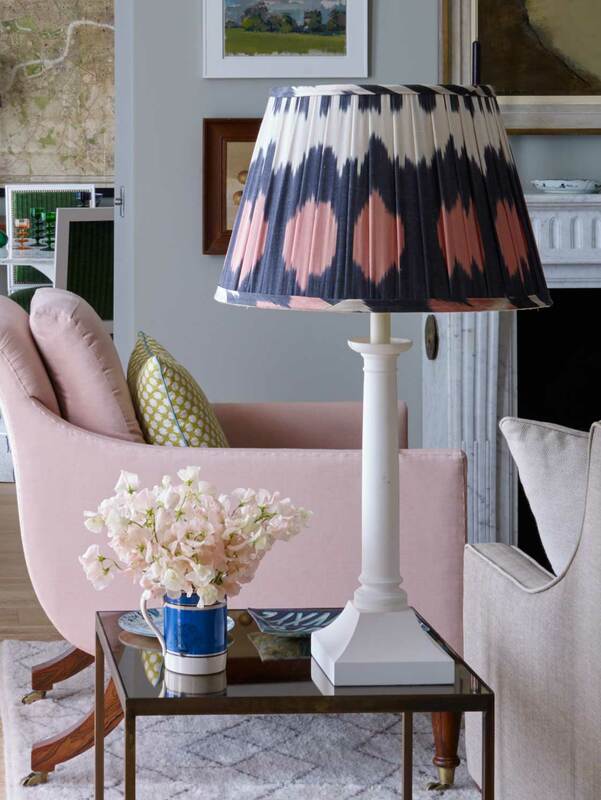 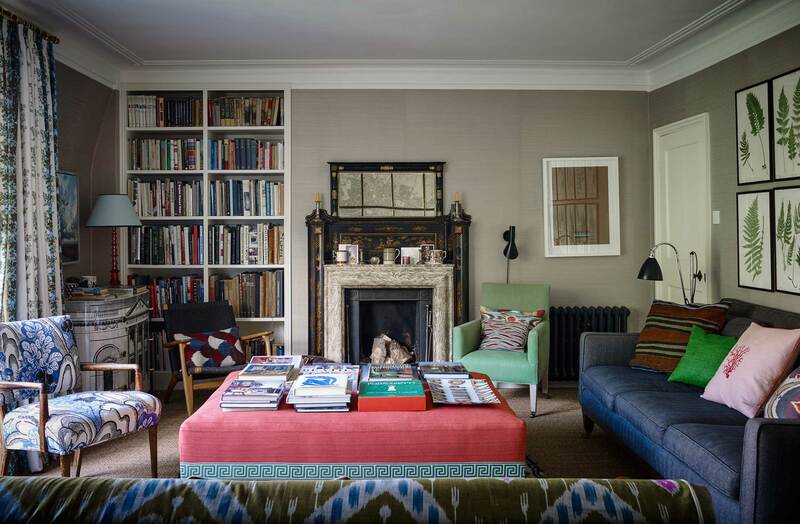 We designed or sourced all fabrics, upholstery and furniture. 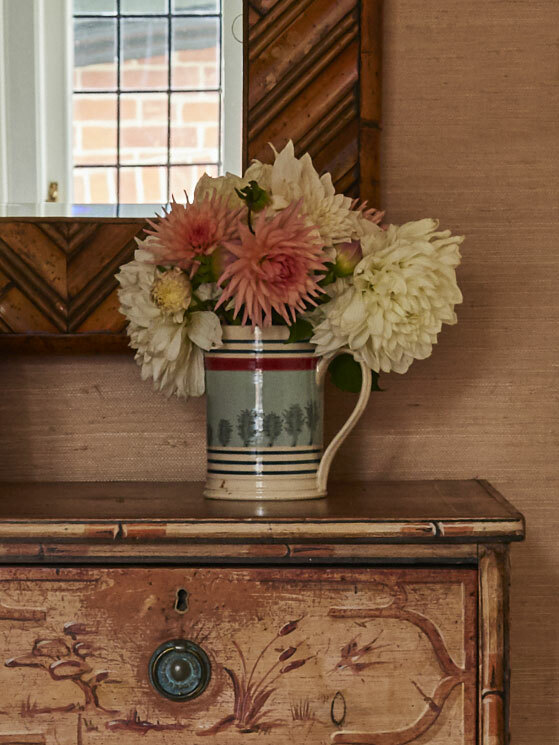 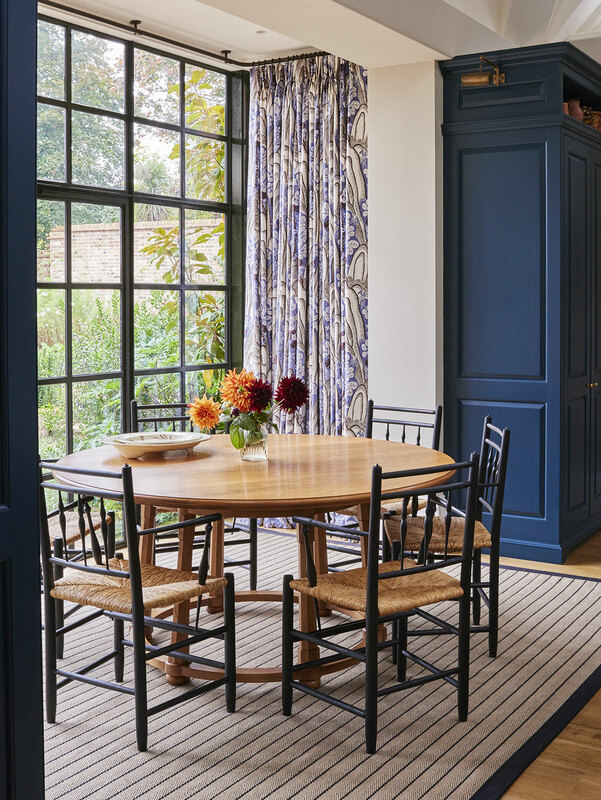 Surrounded by generous gardens and trees, the house has the hint of a rural atmosphere; this too provided part of the inspiration, and we used soft, natural materials and floor coverings. 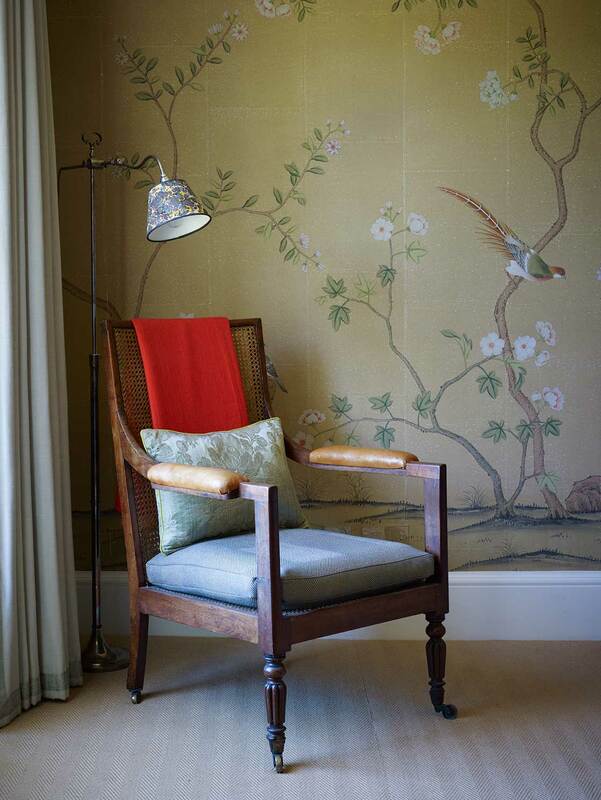 The mood is designed to be calm and tranquil, but to provide visual richness and stimulation throughout. 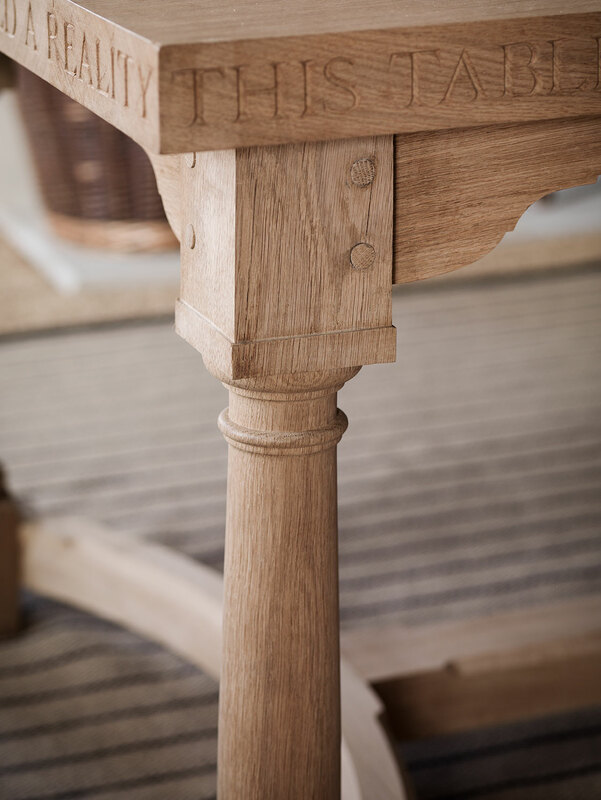 Over the years we have designed many pieces of furniture, both for our shop, Pentreath & Hall, and bespoke made for projects. 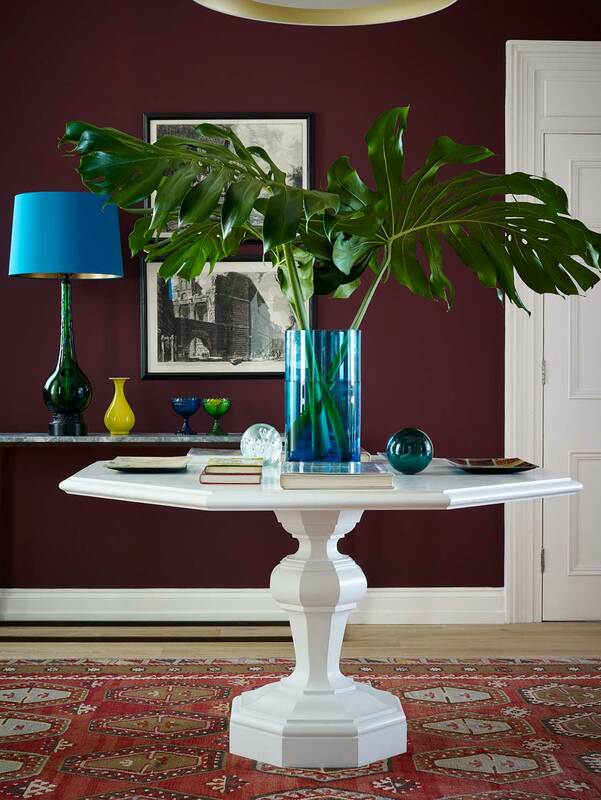 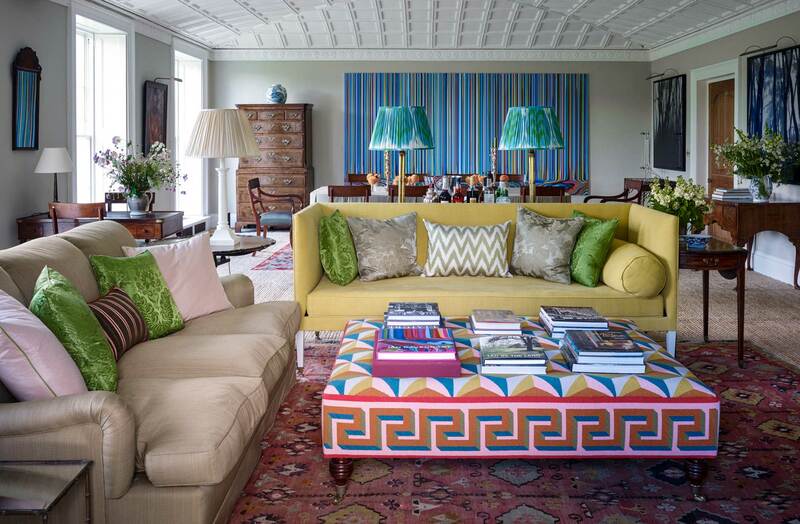 These include tables, bookcases, lamps, chairs and ottomans. 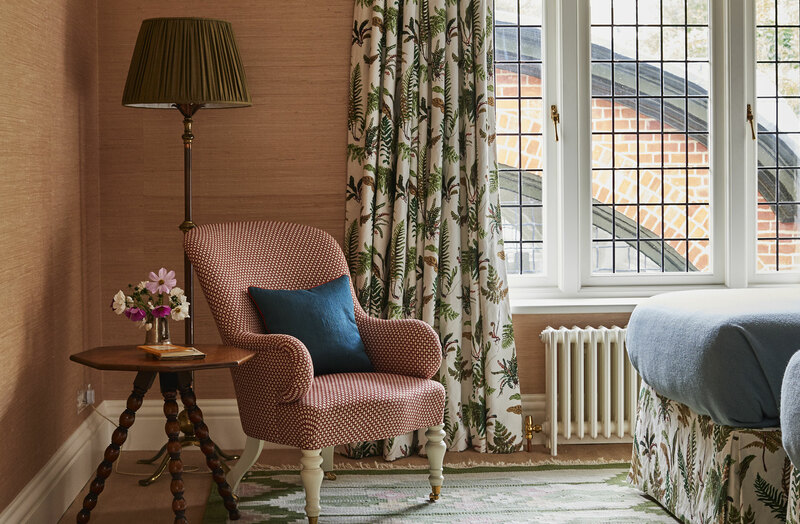 One of our favourite collaborations was the creation of an extraordinary needlepoint ottoman with Fine Cell Work, the charity that provides needlepoint stitched by prisoners – with whom we also designed a successful range of cushions in 2012. 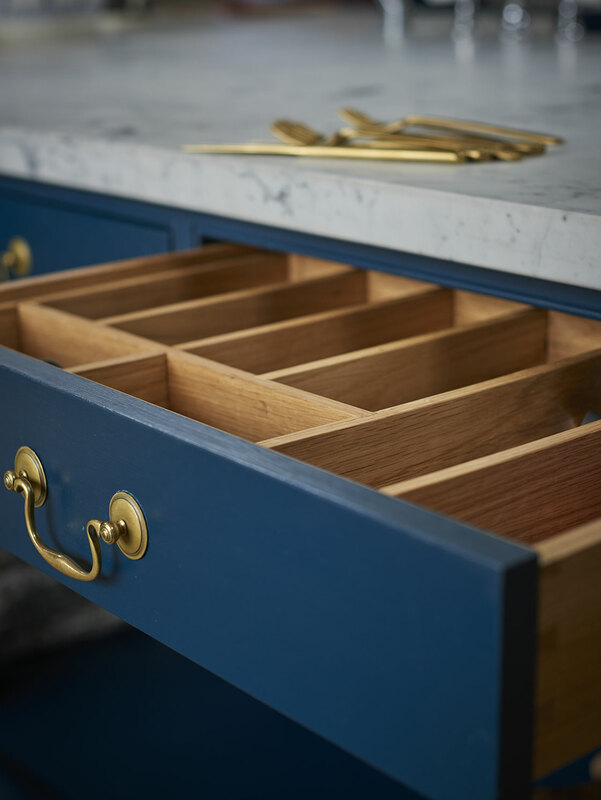 The ability to commission wonderful and interesting makers to create individual pieces for our projects is one of the greatest pleasures of our day-to-day work. 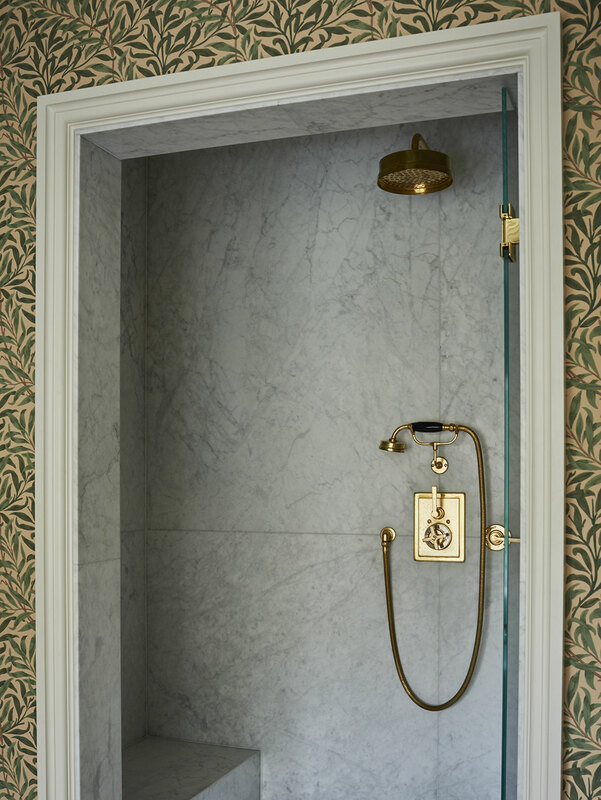 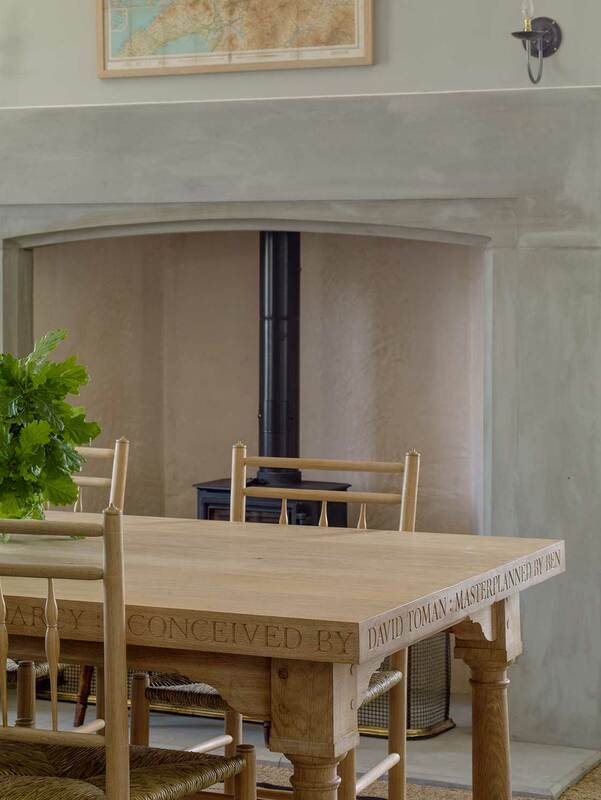 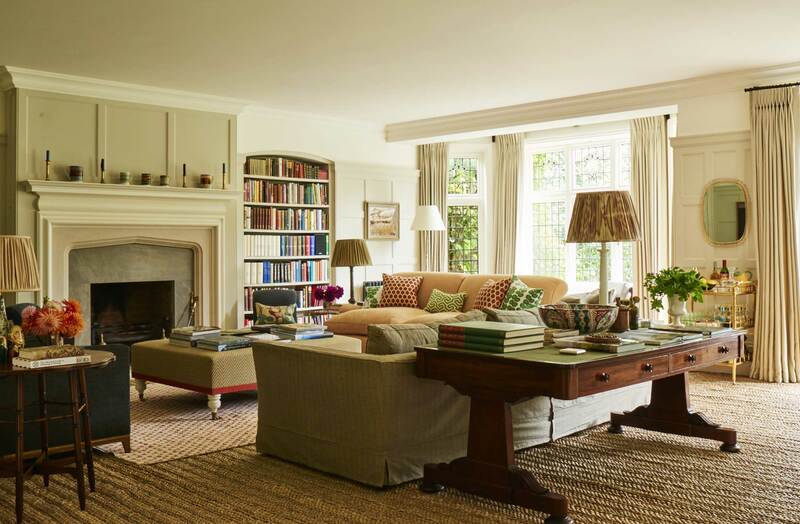 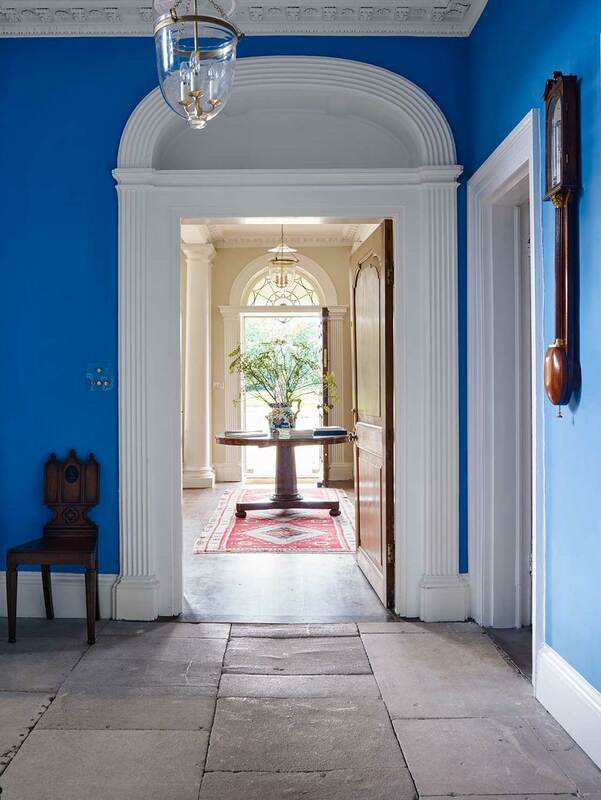 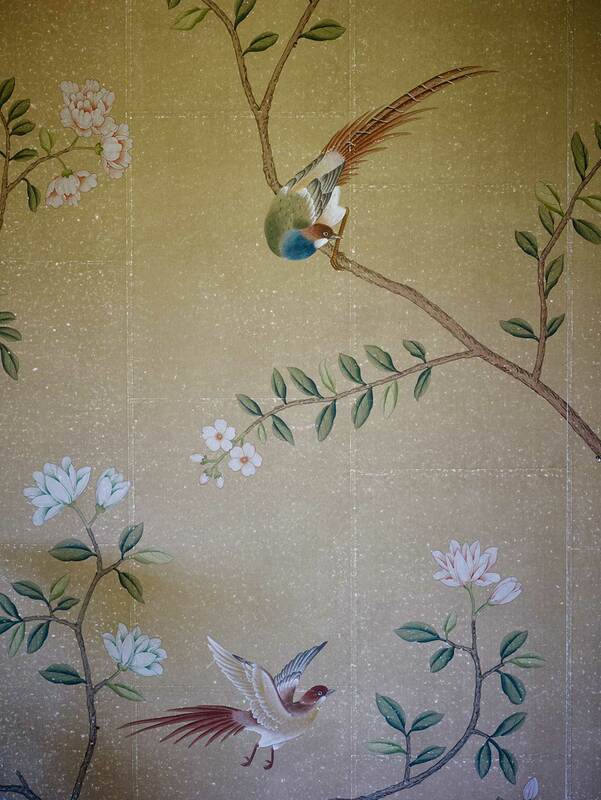 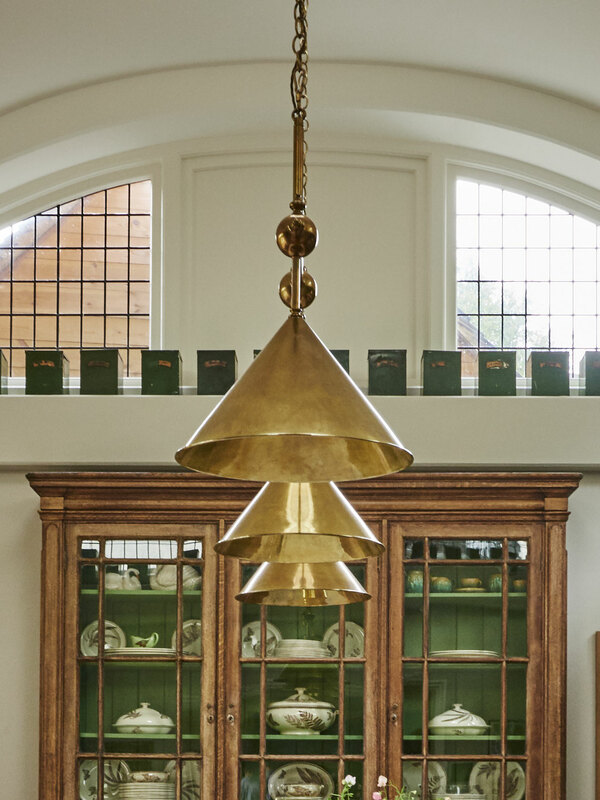 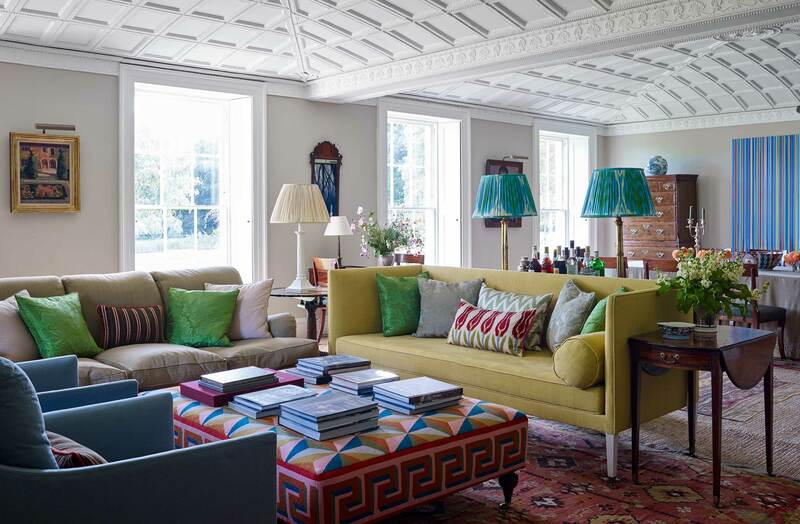 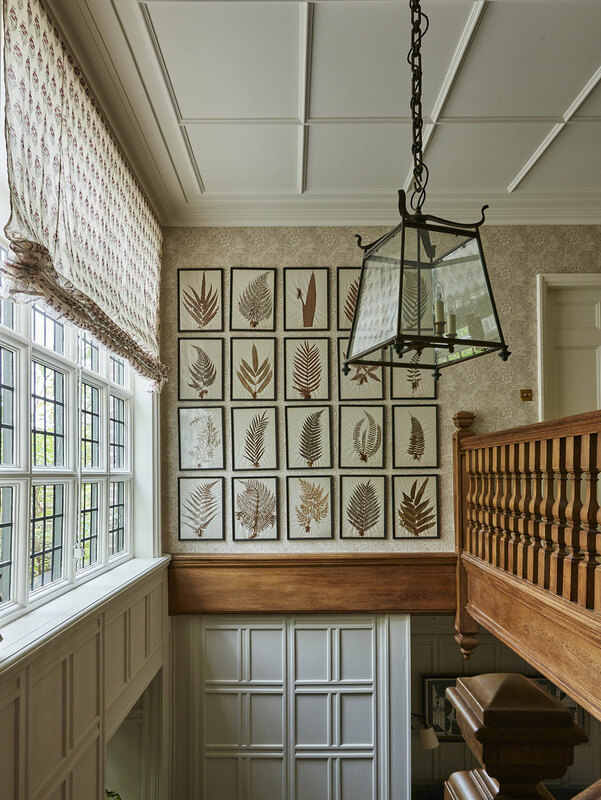 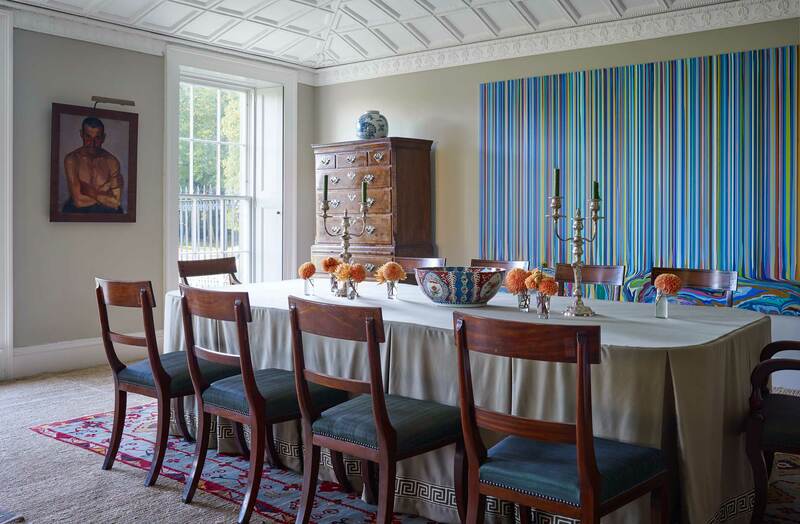 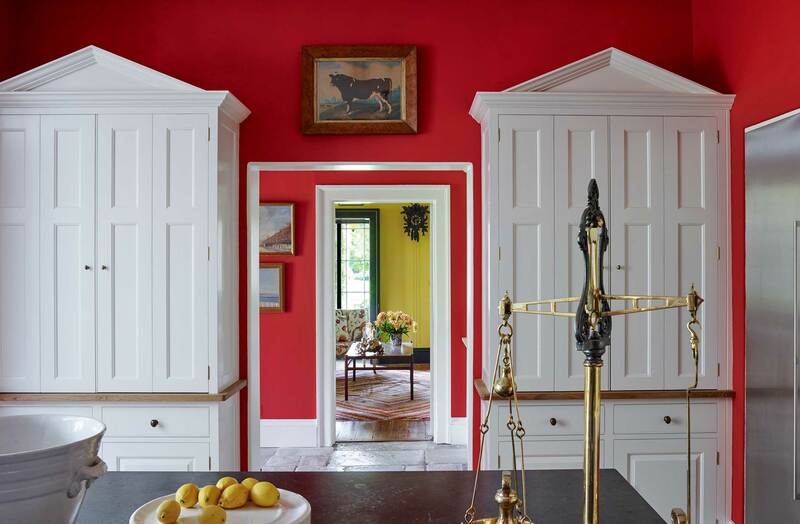 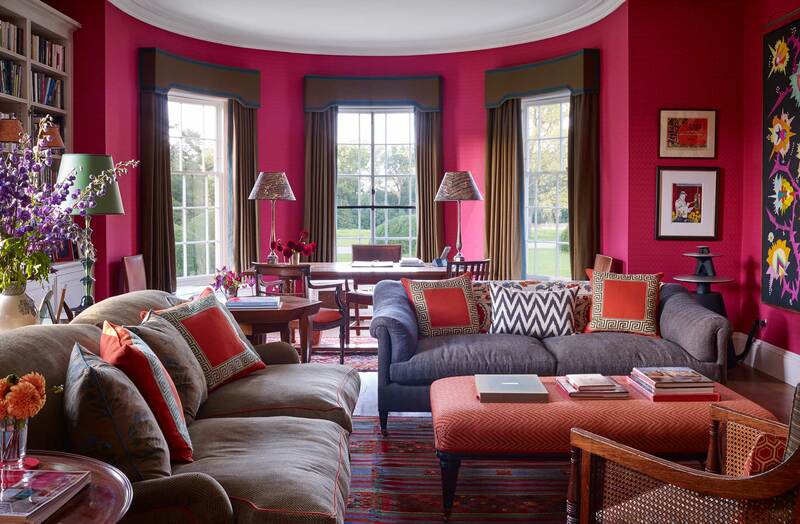 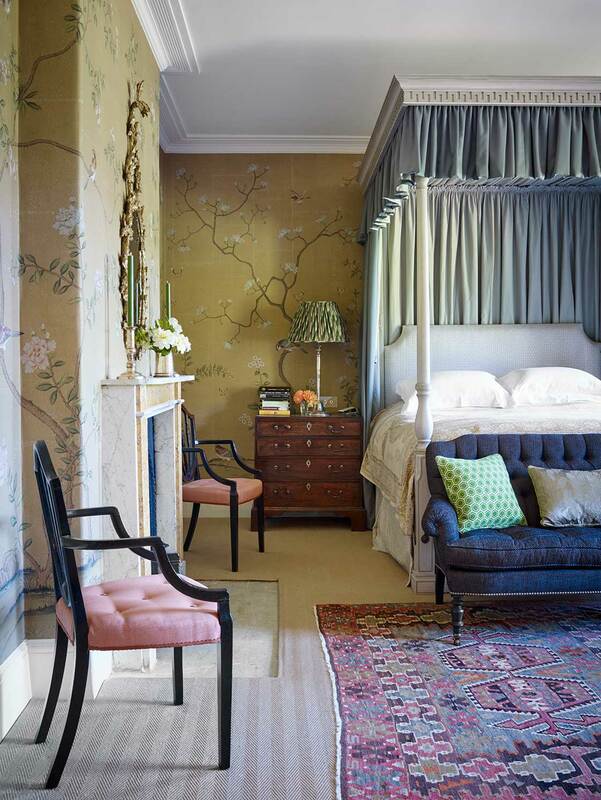 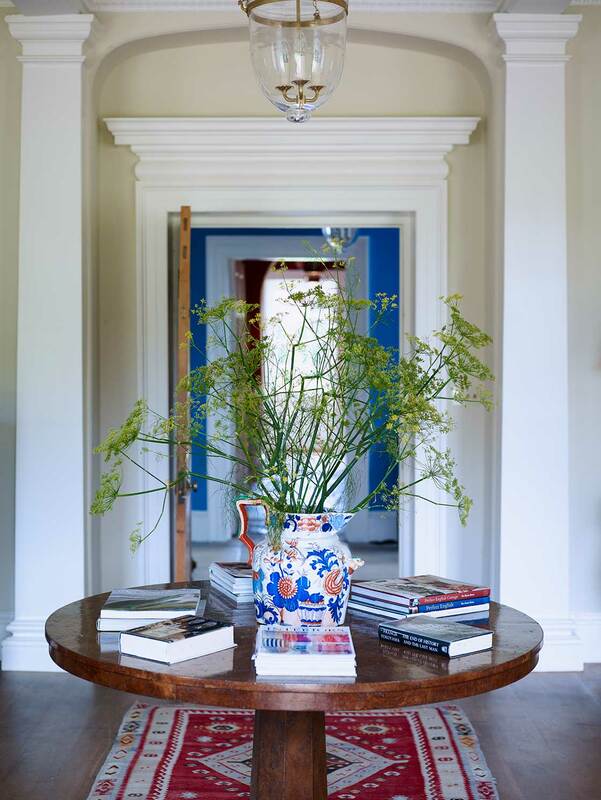 This was our first substantial decoration project, for wonderful clients who live in Hong Kong and who were restoring a beautiful 19th century Manor House in the West Country with particularly good architectural interiors. 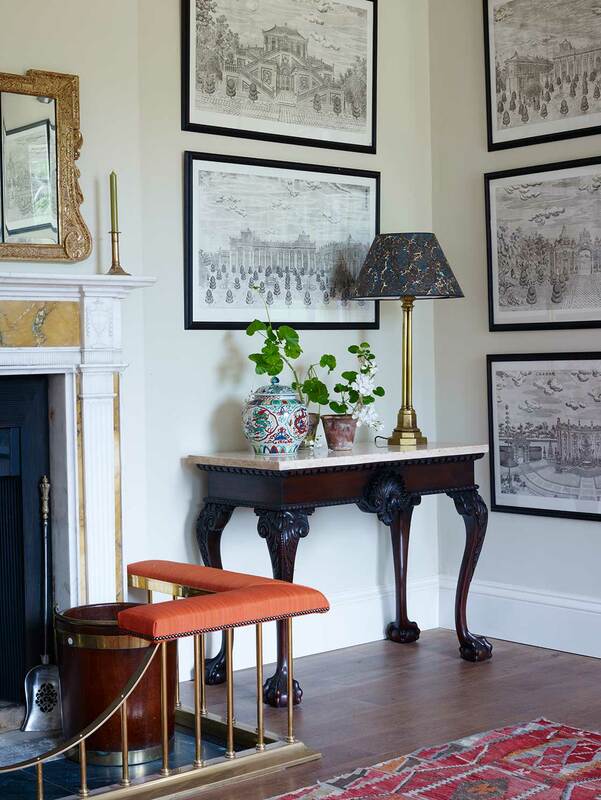 The owners have an extensive collection of modern pictures and a delight in strong colour. 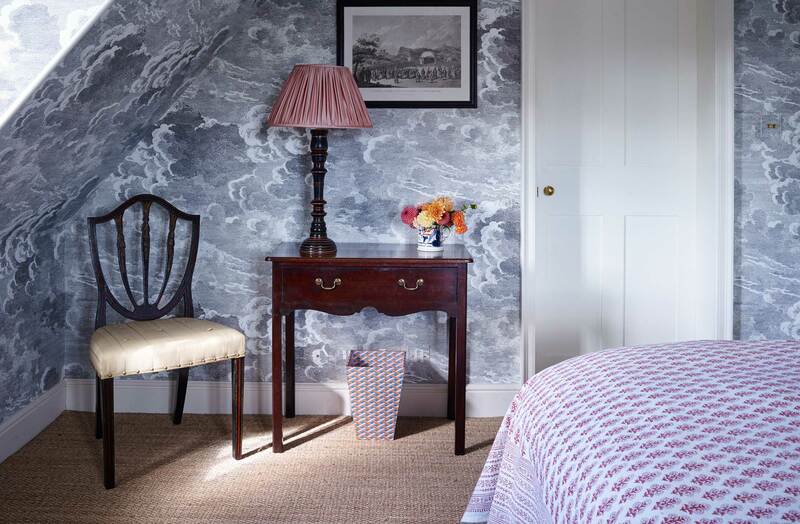 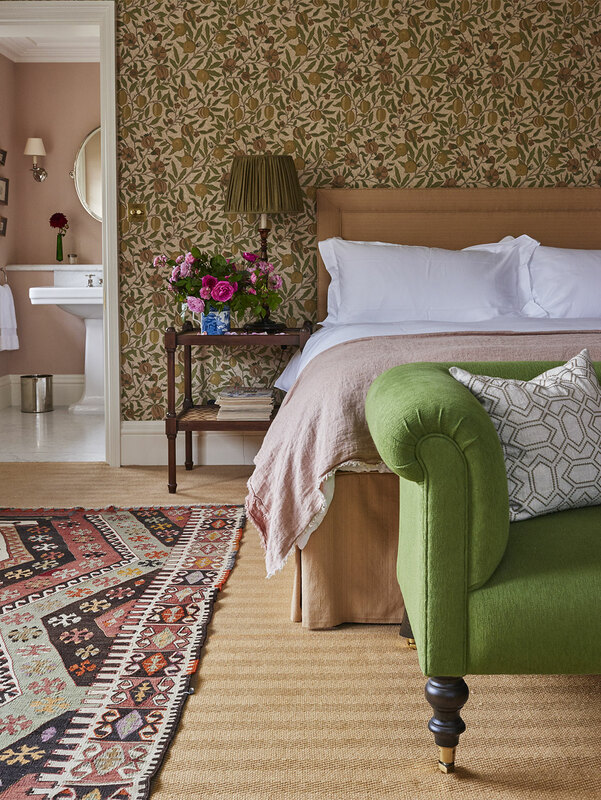 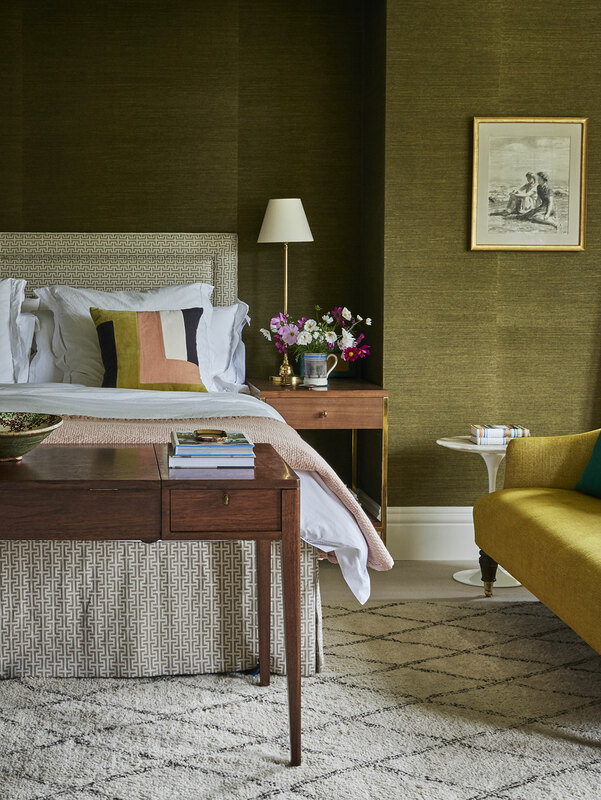 We worked enthusiastically with them to create rooms that are by turn calm and playful, and in which strong bolts of colour combine with more timeless, faded tones. 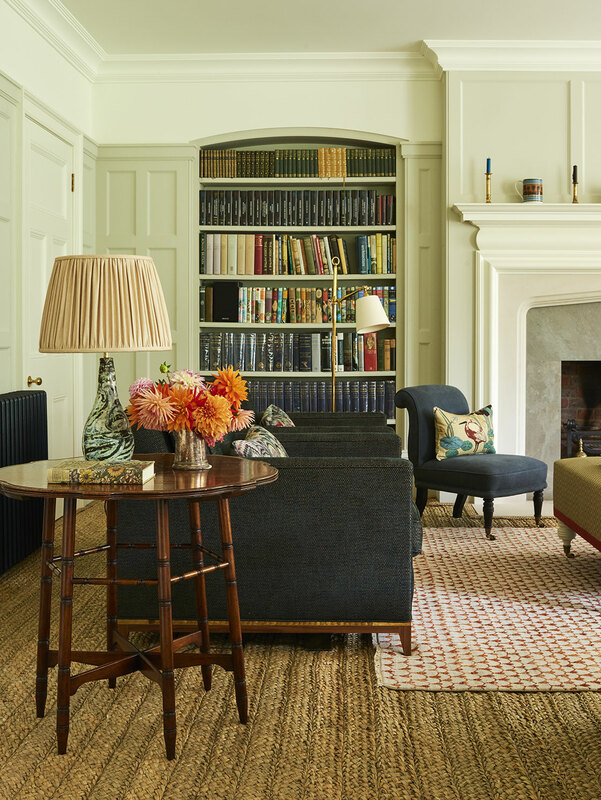 We designed and commissioned furniture, such as the needlepoint ottoman made by Fine Cell Work, and together added to a collection of antiques that feels, rightly, as if it has been gathered over time.